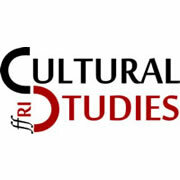 Framing the Nation and Collective Identity in Croatia: Political Rituals and the Cultural Memory of Twentieth Century Traumas (FRAMNAT) is a four-year project financed by the Croatian Science Foundation (HRZZ), which includes young scholars who share the goal of developing innovative methodologies for cultural memory research and cognitive linguistics analysis. The project started in June 2014, and it will end in June 2018. Team members are analyzing both top-down and bottom-up strategies of nation framing and collective identities, through the study of commemorative practices originating after the wars of the 20th century in Croatia. Although the focus is on the speeches of political elites (specifically the president, prime minister, and chairman of the parliament), the researchers are also collecting data on the speeches of the political opposition as well as other relevant social actors (religious organizations, Anti-fascist organizations, veteran organizations etc. ), which support or discredit official narratives. 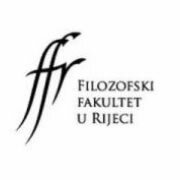 These discourses are analyzed on three levels: top-down discourse of the political elites, media representation and information distribution, bottom-up reactions of the Croatian society. 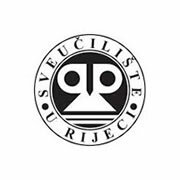 The subject of the research are seven commemorations connected to the wars of the 20th century: Jasenovac (April), Bleiburg (May), Brezovica and Jazovka (June), Srb (July), Knin (August) and Vukovar (November). Commemorative practices are intepreted through various methodologies, e.g. using a linguistic corpus database. The commemorative practices will be observed and analyzed using corpus-based linguistic analysis and frame analysis. The project results will be disseminated through a regularly updated website (which will include a database of the collected research materials), scientific papers and articles in relevant journals as well as presentations on workshops and international conferences. The long-term goal is to develop a Cultural Memory Research Center as well as scientific methods that will be applied to other regional and international case studies.